Serene progress sliding across clam waters in the final version of RA, the solar powered boat. 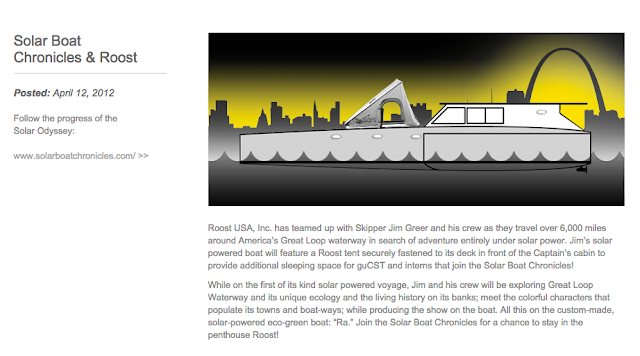 We have been following the progress of RA and the solar electric boat's challenge to the Great Loop from its very inception as noted in this early adoption of a Roost USA, Inc. folding top. Persistence is the hallmark of a champion and Jim has it in spades. 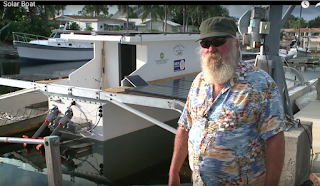 His raw determination has served well to change, quite literally, the course of modern boating power. 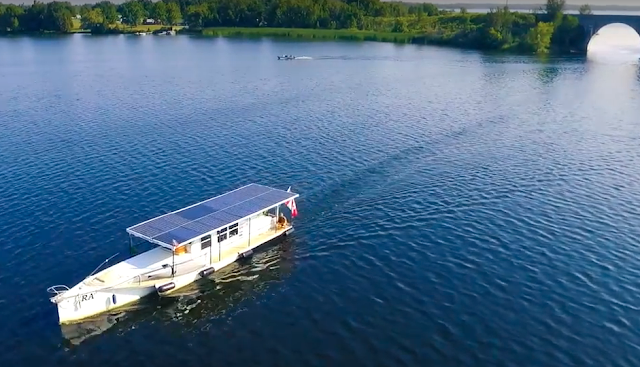 I and many others alike, doff my hat to the man whose dream to sail the Suwannee River went quite afar to complete the Great Loop on solar energy alone. 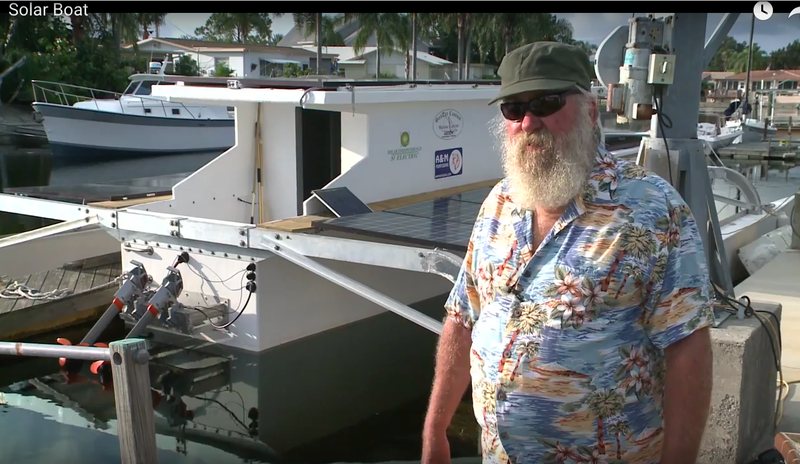 Over 7,200 miles are claimed by the dauntless sailor of RA, a totally electric sun powered boat. The face of determination, persistence and a nice set of whiskers, Jim Greer. From comments made throughout his sojourn he often alludes to the fact that the boat is basic transport, not built for luxury accommodation. However, if you want to be the first to complete the Great Loop with the sun as your gas station in the sky, his boat, RA, definitely got the job done.